In 2007 she graduated from Karaganda State University. E.A. Buketov specialty “Kazakh language and literature” with the qualification of a philologist, a teacher of the Kazakh language and literature. 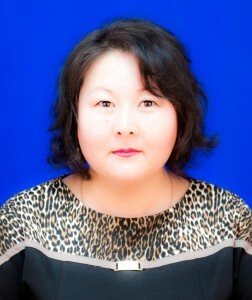 In 2012 she graduated from the magistracy of the Central Kazakhstan University “MGTI-Lingva” in the specialty “Kazakh language and literature.” Since 2007 he has been working as a senior lecturer in the department of the Kazakh language and culture. Conducts practical training “Kazakh language”, “Professional Kazakh language.” He has more than 40 published works, incl. 1 monograph co-authored, 6 textbooks, 8 electronic textbooks 2 teaching instructions. It has a gratitude, a diploma of KSTU, a gratitude from the Office for the Development of Languages ​​in the Karaganda region.